Looking for private in-home or in-studio Sewing lessons? Our Newark teachers are ready to get you started. Find your teacher today! Check out some of our most popular teachers near Newark, NJ including New York, Brooklyn, Bronx, Jersey City and Astoria. Read my REVIEWS!! I specialize in working with beginners and teach foundation skills for using a sewing machine, following a pattern, handwork, and finishing. I can help you make curtains, pillows, bags, aprons and other household items. If you want to make clothing, I will guide you through using a published pattern. I have been sewing for over 30 years and was making my own clothes by the time I was in second grade. My lessons are not like reality TV. Projects take longer than you may think they will. I will work with you to properly construct a quality finished project. Please note, I do not teach pattern making, draping, and advanced tailoring. My experience with serger/marrow machines is limited. Students are expected to provide all tools and materials but I will help you find what you need for your project. Recommend duration for in-person lessons is 90 minutes. Beginner-You will learn basic skills of hand and machine stitching, seams, darts, pleats, zippers, pouch, tote bag and build many more samples into a scrapbook. Intermediate- Fabric dimension and behavior, cutting skills, bias binding, various necklines and making a skirt or blouse. Learn to make garment with commercial pattern. Advanced-Make dress, skirt, pants or blouse with lining. Note: Although students learn at different rates, the above results are expected, if taking lessons 2hours a week, for 5weeks for all levels. As a social worker, I taught participants in a homeless shelter, how to make various items geared towards independent living. For six years now, I've been teaching at a fabric store in East Harlem where patrons sign up for group sewing lessons as well as private lessons. I teach garment construction, alterations, home decor, and various sewing projects. I'm an experienced industry professional and have been working in major fashion companies in NYC for over 10 years. I am offering industry level patternmaking and sewing classes that cater to your needs. Whether you are a beginner who wants to start sewing or advanced level that you want to polish your skills or to start your own line, I can help you with all aspect of subjects that you want to learn. I teach hands on patternmaking and sewing skills used in the industry and garment production know- how if you want to start your own line. Classes include in-depth knowledge of fitting, garment construction, basic and advanced sewing, and production patternmaking. I help my students in different level to achieve their goals. Vena is a great teacher. She has a lot of knowledge and is good at explaining concepts in a way so things make sense. She goes out of her way to make sure I understand everything and she takes her time answering all my questions so I never feel rushed. It’s been very fun working with her and I look forward to many more lessons! -pattern-drafting basics (basic tote bag, skirt, top, some homewares - sorry no menswear patterns) + completion of project, etc. **Please note: I am not offering in-depth or detailed pattern-drafting lessons as I am not skilled enough to teach that. I am still learning and teaching myself those skills every day! I first learned how to sew from a wonderful woman teaching in-home sewing lessons. Her one on one lessons helped catapult me into the skilled sewer I am today. I have been sewing since then for about 15 years now. I started my own clothing brand in high school where I created every item by hand (pattern-drafting to sewing). I then went on to receive my BFA in Fashion Design from Massachusetts College of Art and Design where my construction skills advanced. I am currently working on design commissions in NYC. roject to get you going! Sabrina teaches my twin daughters once a week and they love her! Hi Everyone! I went to Sabrina to learn some basic hemming and alteration techniques. But she was so great I decided to take a few more lessons to learn some construction techniques, as well and now I feel like I can make some basic clothes for myself. She was so great! Sabrina was the most incredibly knowledgeable, patient and helpful teacher. I had just a rudimentary understanding of sewing but with a few short lessons she helped me so much to do so many things. Her knowledge of everything to do with sewing and fashion is just astonishing and her work is impeccable. I would highly recommend her to anyone who wants to learn more about sewing or construction. Hi all, I'm an experienced sewer with a degree in Textiles and Design! I've been sewing and teaching for over 20 years and love what I do. Because I've worked with children and created lesson plans I know exactly how to teach with clarity and work according to the needs of my students. * At this point, I will be only taking on students in the beginner/intermediate level of sewing. 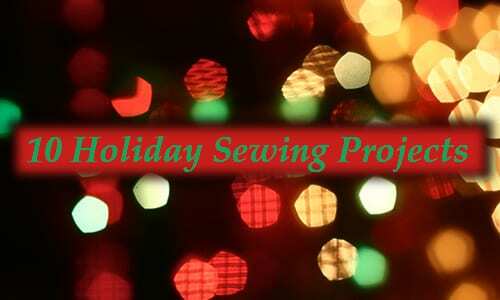 After the introductory class, you can purchase packages of 6 for project A, which is designed for entry level sewers , must be purchased to allow for optimal beginner sewing skills to be developed. My name is Adenike, you can call me Adé. I'm a trained fashion stylist and designer with a degree in Fashion Merchandising and Design from the University of Rhode Island. ages, genders, and abilities throughout my professional career. It began in 2002 when I decided to work with the Americorps, Teach America program. There I created and executed a lesson plan that taught students how to sketch, render, sew, read patterns and adjusts garments for personal to suit their personal needs. The program incorporated science, math, and history so that they had a practical and anthropological approach to fashion design. It was great, and I discovered that one of my other joys in life is teaching. -school setting. Hobby Quest requires an extensive background check because of that fact that work is done with students on school grounds. I can supply references that will attest to my professionalism and easy going nature. 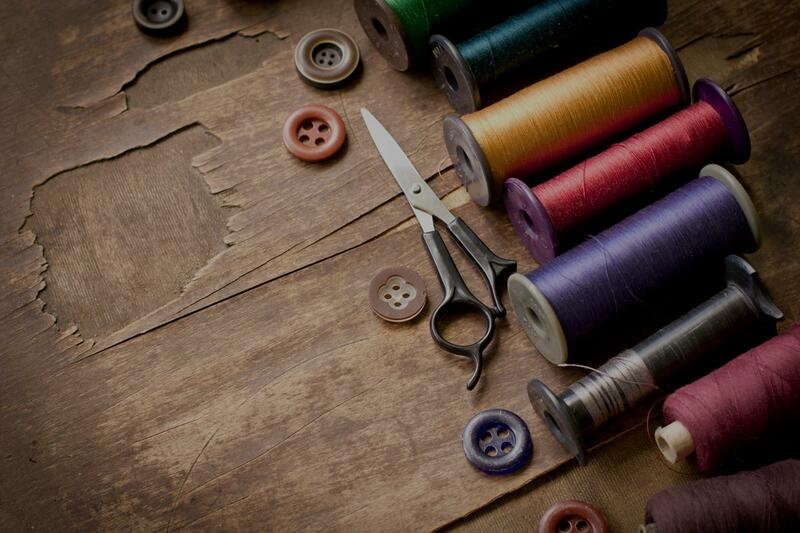 ***For both sewing and styling lessons, it's required that you schedule for a 60 minutes introductory session. Adenike was well-prepared and very flexible to the situation and all my questions. She adopted my goal as her own and did everything possible to get us there--which she did! I look forward to our next lesson. I specialize in hand sewing, but I'm also proficient in a machine. Experienced sewer of over 10 years, specializing in teaching beginner/intermediate/ and advanced sewing students. Lessons are customized and catered to the need/goals of each student. The classes will teach you the basic beginner sewing skills such as the anatomy of a sewing machine, to more intermediate/advanced techniques such as sewing with patterns and creating your own custom patterns. I spent years working as a designer for major apparel companies, but my passion is in sewing and making a garment from concept to actual garment. i am skilled in all fabrics. If you want to sew like a couturier or just make pillows, i can help you do that. Can't find a teacher in Newark, NJ? New York, NY teacher: Lily Q. "So patient and experienced! She really helped save a project that another teacher abandoned! Will definitely be seeing you again!" New York, NY teacher: Vena H.
"Love having Ms. Lily give me lessons in my own home. My understanding of the lessons taught is very valuable." "Sabrina teaches my twin daughters once a week and they love her!" New York, NY teacher: Sabrina Jacqui L.
"Easy to follow, thorough, patient and making it interesting from the first steps"
New York, NY teacher: Beatrice U.
formation. She will not fail in teaching all she can!" "Beatrice was fantastic. I’d recommend her to anyone." "Lily is excellent for first time beginners such as myself. She's very professional, patient, and her step by step instruction makes sewing so easy!" New York, NY teacher: Kim K.